Featuring a new venue, located directly on the oceanfront in South Portland, ME, surrounded by beaches, islands, and within the walls of an old military installation – this is going to be a scenic, sun-soaked festival better than any we have ever done. The Seaport Beer Festival in Halifax is one of the most well-regarded beer festivals in Canada and is proudly featuring the Maine Beer Box during their August event. 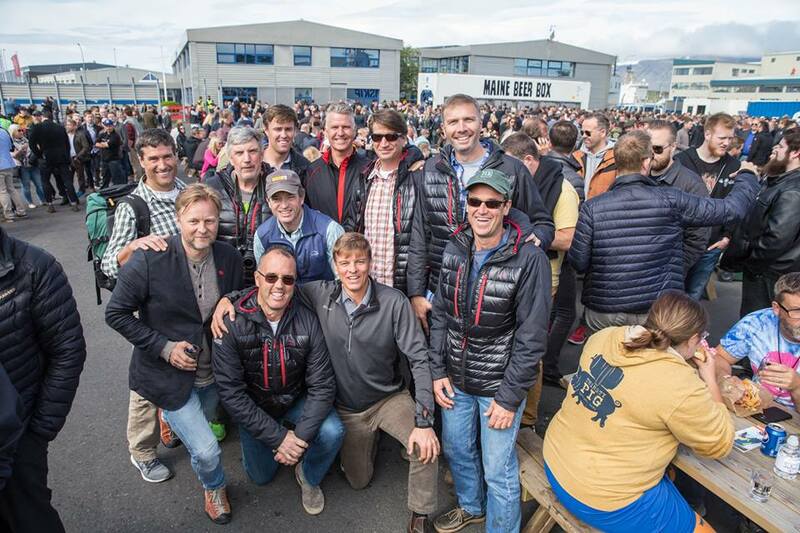 Join Maine brewers and Mainers for an international adventure in Canada as we pour dozens of special Maine beers for our friends in the north at this waterfront beer festival in downtown Halifax, Nova Scotia. What do you get when you have every brewery in Maine working together to promote Maine beer? 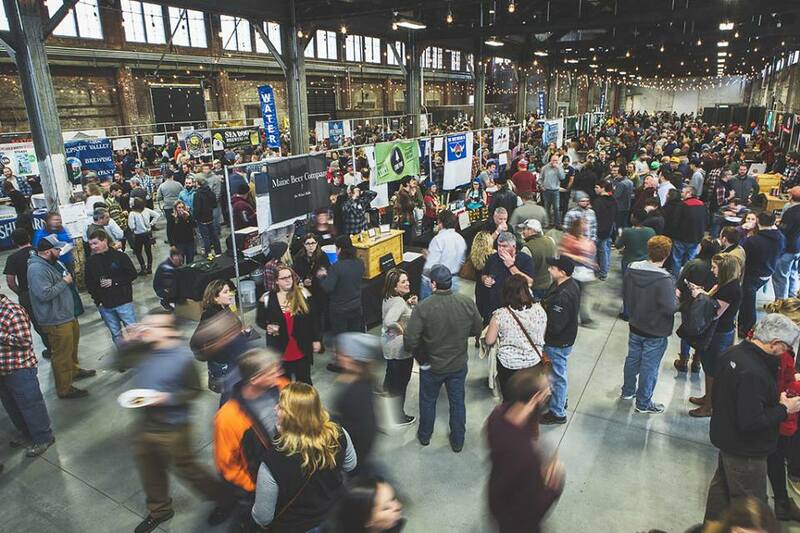 The best beer festivals in Maine and international events like no other in the world. Hosting at least two big beer festivals in Maine every year, the Maine Brewers’ Guild beer festivals are created with beer fans top of mind. We traditionally host two beer festivals each year: one in summer and one in winter. Each festival is held at a beautiful location with plenty of space to spread out. What makes the Maine Beer Festival unique? There are more breweries than any other festival with the most beers on tap and the brewers or owners are pouring the beer themselves. If you want to try the best of Maine’s beers, all in one place and meet the people behind the beer, our festivals are the place to be. In 2019, we will be hosting our annual Summer festival at Fort Preble in South Portland, ME on Saturday, July 27th. Details and ticket-on-sale information coming in March 2019. We’re also working on our winter festival plans right now, and expect to announce those details by mid-2019. NOTE: Every one of our beer festivals has sold out for the past few years. If you want to get tickets, be sure to sign up for our email list and follows us on Facebook. Outside of our festivals, the Guild also hosts the New England Brew Summit, a business-to-business conference for brewery professionals that provides a daylong agenda of educational sessions covering technical brewing, hospitality management, and business operations topics. More information on the New England Brew Summit’s annual March event can be found at www.nebrewsummit.com. We also occasionally host smaller format events like Beer School, Freshman Orientation (a showcase of Maine’s newest brewers), and events that you’ll only hear about from our email list or Facebook. These events offer a peek behind the curtain, giving attendees the chance to take deeper dives into brewing topics, beer, and the business behind brewing beer. Last but not least, the Maine Beer Box, the biggest kegerator in the world, and the vessel that has allowed the Guild to share Maine beers with beer fans from Iceland to the UK. In 2019, the Beer Box will be going to Halifax, Canada, where it will be featured at the Seaport Beer Festival on August 9th and 10th, 2019.